Tenrod Australia introduces a new series of circular LED downlights suitable for overhead ceiling lighting applications. Tenrod’s new circular LED downlights are complete lamps that can replace conventional ceiling lights such as incandescent GSLs, halogens and even CFLs. The LED downlights consist of high brightness LEDs mounted in an array within a high efficiency reflector housing to deliver effective light distribution. 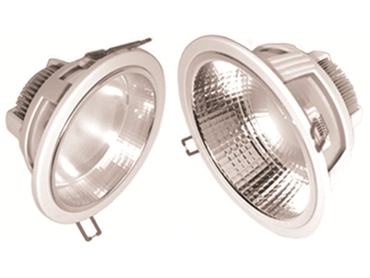 The lamps are supplied with an LED driver, whose terminals can be connected to the existing AC mains of the replaced lamps for putting the LED lamps into service.